The player for Sk'p has moved. Sk’p is a name that is instantly recognizable to those who are into some speeded up, playful, incredibly clean but detailed glitch tunes and not a stranger to chiptune madness as well. But that's just one side of him. A very prolific and active producer hailing from Belgium, he decided to release on Crazy- Language a very different output from what he usually does, being slowing things down while still retaining his trademark sound of beautiful immediate melodies, clicky beats and a very precise song structure. 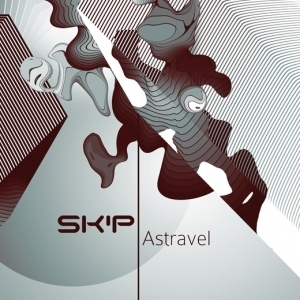 Inside Astravel are half a dozen of smooth, slow-paced classic IDM compositions that take no time on getting a warm and fuzzy feeling out of you. It’s simple, effective and very fun to re-listen time and time again, so you can start digging deeper onto all the nifty little details that are present inside. Complementing the six solid tunes Sk’p has to offer, you can still count on a couple of remixes from two of the label’s finest: Huron and Enabl.ed. Fitting like a glove to Berlin’s finest net label, Sk’p is already at home.